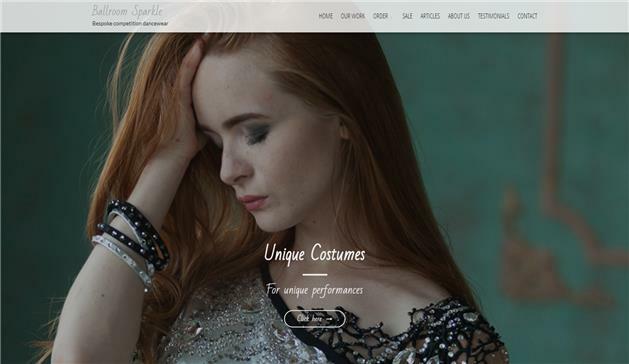 ShortDescription: We are a team of highly skilled designers and dressmakres offering outstanding costumes for performers around the world. We design and make costumes for ballroom dancers, ice skating professionals, gymnasts. Ballroom Sparkle is a small studio that makes professional gowns for Ballroom Competitions, Stage Performances and Dance shows. The company is run by ex ballroom dancers and faithful fans of this wonderful sport. When founding my studio we wanted to make fascinating dresses that would yet be comfortable and easy to wear. We know how important it is to feel relaxed and certain of your appearance when standing on the dance floor. The dress should look and feel “|yours”|| it should match your personality and flatter your shape. It shouldn’|t get on your way while you’|re dancing. And preferably, it shouldn’|t leave you broke after you bought it! While working on a new dress we take time to learn your preferences, tastes, your body type as well as your budget limits so we could later offer you the most appealing solution.